To be able to save your sub-category successfully, you would have have at least 1 keyword in the category (as a placeholder). 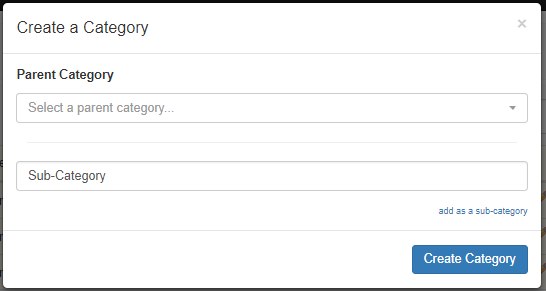 You can create a sub-category by clicking "Create Category" at the top of the page, naming your sub-category and then clicking on "add as a sub-category". You will then be asked what Parent Category you would like to put it to. After choosing the Parent Category, you can click on "Create Category" to complete the process. 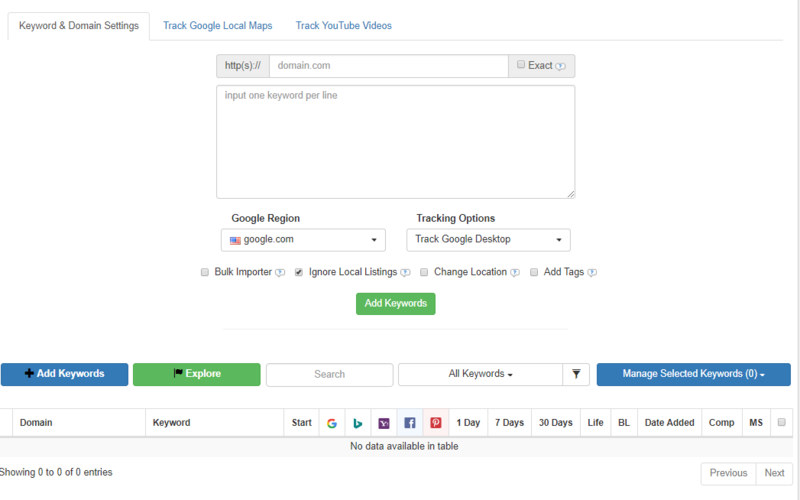 You will now see this page where you can add your URL/keywords.